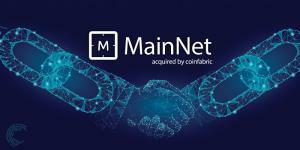 LONDON, UK, April 3, 2019 /EINPresswire.com/ -- (London, UK, 03/04/2019) - CoinFabric announces its acquisition of MainNet in efforts to promote the growth and development of innovative blockchain powered products and solutions. MainNet, a Ukraine-based company founded in 2017, has grown into a team of twenty-plus professional developers that are highly experienced in developing and launching blockchain and cryptocurrency oriented products for enterprises, and mainstream markets. MainNet focuses on smart contracts, dApps, core blockchain development, and custom development of protocols and blockchains. CoinFabric, an industry leading global management consultancy, first partnered up with MainNet back in 2017, when the two worked on amplifying the company’s blockchain technology division and together have successfully engaged with over twenty clients since then. By acqui-hiring MainNet, CoinFabric is seeking to grow its technical division and provide an improved base of technology-related expertise while expanding its offerings for high level development projects in the global blockchain arena. Ever since the introduction of blockchain, the technology has outgrown its initial use and also displayed phenomenal potential as a medium for the recording and processing of financial and asset transactions. Furthermore, over the last three years blockchain-related projects secured large sums of money through the advent of tokenized fundraising; raising over $6 billion in 2018. While these numbers have begun to slow approaching Q1 & Q2 of 2019, there is no doubt that this has drastically increased interest in the power of Blockchain for raising capital and beyond. Most analysts believe that the innovation around Blockchain itself has been slow, but cryptocurrencies saw a significant surge in popularity as a financial asset and investment vehicle, and in some cases a practical utility to end-users. “It is a challenge for new technologies to find practical applications. Similarly, it is a challenge for many products to keep up with the ever-evolving needs of consumers. Blockchain technology and blockchain-powered products can prove to be an exception if appropriately and effectively managed and positioned,” notes Dean Cannell, CEO of CoinFabric. Determined to improve traditional supply chains and processes, and increase their competitiveness in their respective markets, CoinFabric’s move to acqui-hire MainNet gives the company a competitive advantage and plenty of resources that they can deploy to make their vision come to life. “Every day we strive to make an impact and drive the industry forward, while also educating people on the fundamentals and utility of Blockchain and cryptocurrencies. We believe that the R&D, consulting and integrated services that we offer play a significant role in not only preparing mainstream for the introduction of Blockchain companies, but also preparing Blockchain companies to navigate their journey into mainstream economies,” says Dean. With the help of MainNet’s expertise paired with CoinFabric’s global partnership network, we are sure to see some valuable innovation and impact in the space over the coming years. Founded in 2015, CoinFabric is a global management consultancy that supports the blockchain industry. The company empowers stakeholders of the industry by harnessing the innovation of blockchain technology through rigorous research and development, consulting and integrated services. Since its establishment, CoinFabric has supported over 60 companies across the globe; through growth and fundraising initiatives. The consultancy has also formed over 20 strategic partnerships in more than 10 countries with nine satellite offices set up across the globe. MainNet, based in the Ukraine, was founded in 2017 as a Blockchain Development company focused on building real-world solutions and products utilizing Blockchain Technology. A now 20+ man agency with expertise spanning from Front-end to Back-end, Blockchain Development, Smart Contracts, dApps and more, and having worked with dozens of Blockchain-powered projects, they have their eyes set on bigger and more in-depth projects in 2019. Email hello@mainnet.io for more information.